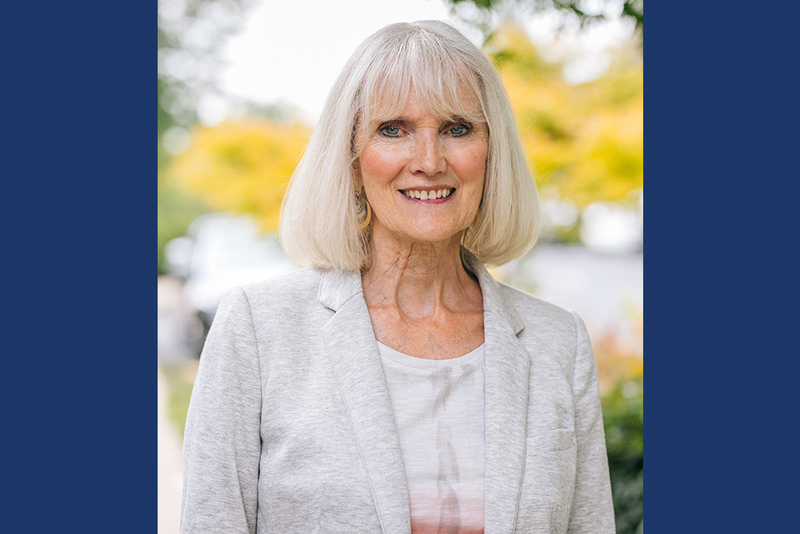 Judy H. Mullet, professor of psychology at Eastern Mennonite University, will provide the address for EMU’s 101st commencement on Sunday, May 5, 2019 at 1 p.m.
Mullet, who retires this year, earned her bachelor’s degree in psychology from EMU in 1973, a master’s in education degree in school psychology from James Madison University, and a PhD in special education from Kent State University. In addition to teaching psychology and teacher education at EMU, she directed the Honors program, and co-founded and co-led Student Kairos Place, a week-long gathering of EMU undergraduate writers. She has facilitated workshops on multiple topics across the United States, was a consultant to school districts on a variety of topics, and co-authored The Little Book of Restorative Discipline for Schools: Teaching Responsibility; Creating Caring Environments (Good Books, 2005) with Lorraine Stutzman-Amstutz. Her recent works have appeared in Children & Schools and Adult Learning, and her works on children’s peace literature and inclusive worship have been published by agencies of Mennonite Church USA. She is a member of Lindale Mennonite Church, where she has been a worship leader, has taught Sunday school since 1993, and is currently an elder. For more information on EMU commencement, please visit emu.edu/commencement. I had Judy Mullet for the Peace Building and Conflict Resolution course at EMU Lancaster. She was, hands down, one of the most influential professors I have had during my educational career. Judy has the ability to create a safe environment in which relationships flourish. Most noteworthy is the fact that she managed to do this within the span of our week-long course! She models the care, respect, and love that we in education hope to pass on to our students. She’s a role model in every sense of the word. Thank you for the impact you had on my career and on me personally, Judy! I am so grateful our paths crossed. I met Judy when I had her for class in my undergrad many years ago. I have thought it many times that when my path crosses with Judy’s, I leave that space a better person. Any class, conference, in-service or presentation I sat in on (and they have been many over the years) left me with another nugget that I hold for years to come and shapes the way I am in this world. Any happenstance meeting always leaves me with a genuine, positive, life-giving interaction. In the midst of tragedy in my own life, Judy’s response was profoundly simple and touched me deeply in ways that are impossible to describe. I am so grateful for knowing her, for the way she has enriched my children’s lives and for her gentle, courageous, joyful and graceful example of living in God’s Light.